If you were like me when you finished matric and had almost no idea what exactly you should pour your heart (and future) into, then it might be time to consider a new path. As we grow up we are still mostly taught to aspire to predominantly traditional careers like being a teacher, a lawyer or a doctor. Yet, there are so many alternative fields to explore today. One such avenue is becoming a futurist. We asked you on Twitter whether or not you’ve ever heard of such a job and most of you said "No, what?!" Did you know you could have a job as a Futurist? Not exactly a trends forecaster or a clairvoyant, this job is more in line with but still very much unlike the futurism we experienced in the recently released Black Panther. It is basically the study of the future. Minus the superheroes. 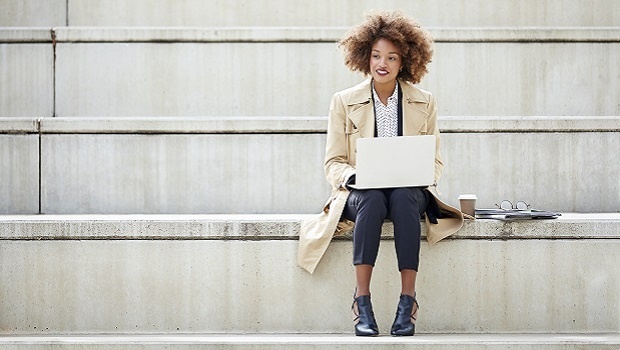 If you're keen for a job that's not exactly 9 to 5, then this might be for you says Merle O’Brien, one of the only South African and African female futurists. I've got 30 years of creativity, design and innovation expertise, market insights and foresight skill and I get to use it to help brands design new products and services that meet the unmet needs of African consumers. My vision is to inspire creativity that leads to 'An Even World'; and I only take on work that aligns with my deep and abiding concern for the future, especially Africa. Take the fashion industry and trends you see on the ramp. As a futurist, I must lead innovation by example, toward an ideal future, which means I re-use, repair, share and upcycle my own clothing. This goes against media mainstream-thinking of a futurist's style being fashion-forward and 'trendy'. I try to project alternative images and contracting styles, unusual combinations that shift people's mental thinking patterns, that helps a company's innovation team to move forward. Who have been your clients and what do you do for them? Over the years I've worked on innovation projects for a range of clients such as exploring future scenarios for transport innovation in Africa on behalf of Porsche, or social innovation for Distell, trends research for Pernod Ricard, foresight reports for Woolworths, disruptive innovation concepts for Standard Bank and Nedbank. I work through and with their creative agencies, management consultants, innovation or strategy directors to curate their innovation process with creative foresight. I also produce the annual African Trendstar Journal mapping shifts in mega, macro and micro trends in Africa - within a 5D world (beyond the five senses) context - to help strategic planning for select clients. What's the future of futurists in South Africa? There are 143 women futurists in the world who are women. The world needs more and every conscious living person today should regard themselves and have the awareness of a futurist, so they're able to deal with the challenges of the 21st century. We have 6 of the fast growing economies in the world and by 2030 the global African diaspora will comprise the highest number of consumers in the world. Also, a ripple effect of the 2008 financial crisis is that we're moving away from dinosaurs (industrial age engineered companies) to unicorns (21-st century designed, global digital startups). Unicorns are the ones extending their range of products and services across the new 5D world, which comprises the natural, built, phygital (combining physical and digital experiences), digital and outer space environment. In other words, think about celebrating your birthday in 2025 as a space tourist futurist. 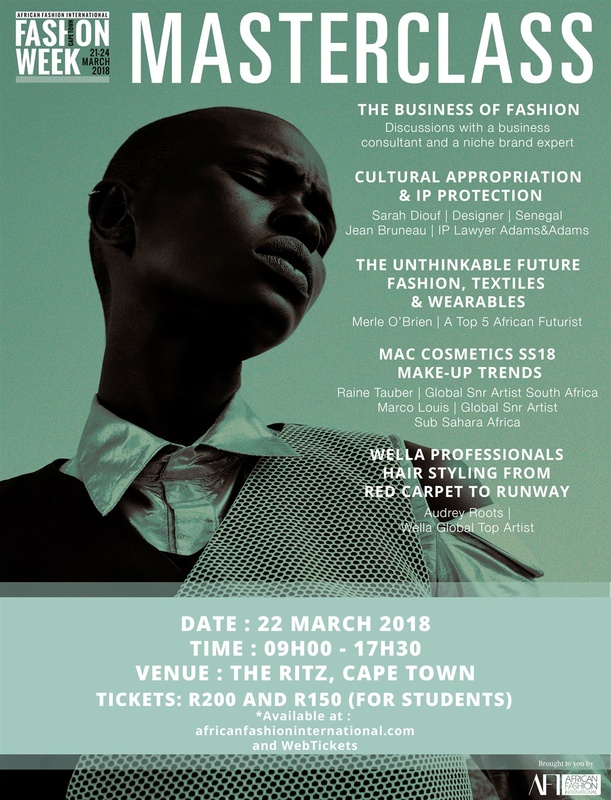 Merle will be speaking at AFI Fashion Week next week, giving a talk on'The Unthinkable Future' of Fashion, Textiles and Wearables in Africa on Thursday 22nd March. Who tends to work as futurists? When it comes to who is comfortable in the role of a futurist, Dr Morne Mostert, Director of the Institute for Futures Research (IFR), a strategic foresight unit at Stellenbosch University, says “Futurists tend to be optimistic. They are activistic rather than atavistic (working from old habits or reverting to ancient traditions) and fatalistic. “Futurists believe that things can and should be done better. They are not predictors of the future but explorers of multiple futures and intellectual adventurers who thrive on imagination, creativity and innovation." He describes the need for future studies, futurists and futurism as crucial; especially in business. You are basically hired to anticipate what we'd be using, doing and thinking in years to come. What about futurism in Africa? Local Jozi-based fashion influencer Keneilwe Mothoa says, "Afrofuturism is all about cultural (African) aesthetics infused with fiction and technology. To me it is about imagining the future for black identity and the possibilities of a better, more advanced life beyond the current circumstances faced by black people. "In decor and fashion, cultural motifs from different African clans are incorporated into contemporary design. We are exploring and incorporating our roots and cultural backgrounds into everything and making it better. It's an advanced life better than the now." Despite Africa's past, O'Brien feels that we can't move forward looking in the rear view mirror. He says, "I often say its like we're in an Artificial Intelligence 'driverless' Uber heading off the cliff and the old guard is fighting in the back seat about who is in control. It's laughable actually. No, really." Over 50% of the continent is under the age of 35 and Africa is the continent on which the population growth rate is still rising. She calls this new African generation being born, AfroGenAlpha. "They have a universal worldview, will be code-savvy to speak a universal tech language digitally, yet able to speak their native tongue with equal pride and fluency." O'Brien notes that as a futurist you have to find a way to bring it all together, to connect the right dots, like constellations in the sky. "If you get it wrong, the pattern or picture that some people may be seeing about Africa may need 5D specs." "For example, we are already seeing opportunity spaces for SA Fashion Week designers in the growing baby-wear market on the continent. 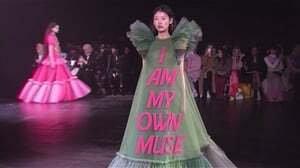 And, if President Ramapahosa wants to industrialise as per his SONA speech, let's have the conversation about how this will benefit our local designers of uniform wear for the local industry - or will it be imported from China. We have to think about creating a circular, sustainable economy." The IFR offers a Post-graduate Diploma, M.Phil. and Ph.D. in Futures Studies. Go here to see the exact details of the various courses.